The museum was opened in 1935. 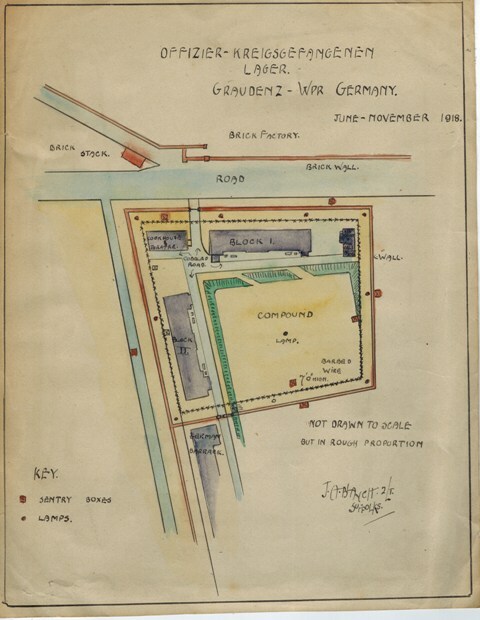 It was housed in various buildings on the Regimental Depot site, including the Sergeants’ Mess and Officers’ Mess, before moving in 1968 to its present location in the former Armoury. The first floor room is where, by the 1930s, new recruits were fitted out with their uniform and equipment. 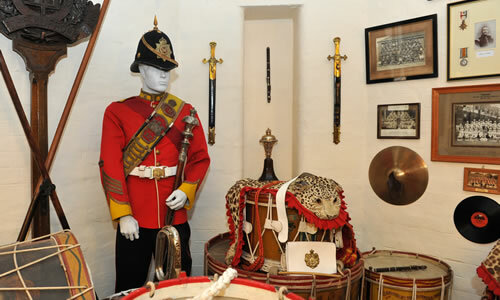 The displays tell the story of the regiment from its foundation in 1685 to amalgamation with the Royal Norfolk Regiment in 1959. The history covers the regular, militia, volunteer and war-time battalions as well as the experience of individual soldiers and is told through medals, uniforms, photographs, weapons, equipment and personal memorabilia. 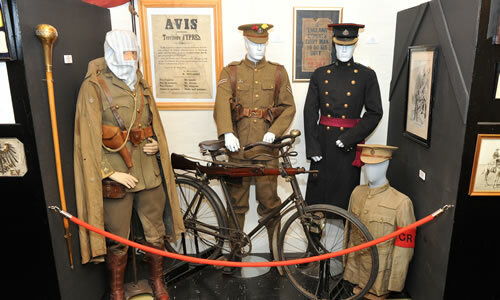 A small display at Moyses Hall Museum in Bury St Edmunds gives an overview of the story, while the regimental archive and photograph collection are on deposit at the Bury St Edmunds branch of the Suffolk Record Office. The museum is located on Out Risbygate (A1302), the road leading from the A14 (first exit eastbound/third exit westbound for Bury St Edmunds) into Bury town centre. The Museum is open on every Wednesday and the first Sunday in the month from 9.30 to 3.30 and at other times by appointment. Group visits are welcome, by prior arrangement, at weekends or evenings. There is limited free visitor parking available at the back of the building. There is wheelchair access to the ground floor displays (medals collection, ‘Afghanistan Then and Now’ display and the Malaya case) and the disabled toilet. There is at present no wheelchair access to the main gallery on the first floor.